Life as an academic is varied and busy. Students sometimes believe that all we do is teach. In fact, we do quite a few other things. Here’s my 2016 in numbers. I wish you, Dear Reader, all the best in 2017! Please introduce yourself in a few sentences. My name is Tunca Doğan. I received my PhD in 2013 with a thesis study in the fields of bioinformatics and computational biology where we developed methods for the clustering of the protein sequences using unsupervised machine learning techniques (Dogan and Karacali, 2013). I’ve since been working as a post-doctoral fellow in the EMBL-EBI, UK under the Protein Function Development team (UniProt Database) leaded by Dr Maria Martin. Here I’m developing new tools and methods for the automated functional annotation of protein records in the UniProtKB using a variety of features including domain architectures (Dogan et al., 2016). I’m also conducting research in the field of computational drug discovery. As of 2016, I’m also affiliated to the Department of Health Informatics, METU, Turkey both as a senior research fellow and a faculty candidate. Why did you choose to apply to the OMA visiting fellowship programme? The team behind OMA is world-leading in the field of phylogenomics, and they authored many highly cited publications in this area. Moreover, OMA is considered to be one of the most reliable and comprehensive resources offering phylogenomic information on various species. I’ve applied to this programme in order to develop my knowledge in phylogenomic research, particularly about the OMA production. My specific research aim was to investigate if and how the information in OMA can be utilized in order to increase the coverage and the quality of the automated functional annotation of proteins in the UniProt database. What project did you work on during your visit? The project I worked on had two sides: 1) investigating novel ways of quality checking of the data produced in the OMA pipeline (especially HOGs) using the Domain Architecture Alignment and Classification (DAAC) method I previously developed in UniProt; 2) investigating the use of OMA groups and HOGs to propagate the functional annotation between the (homologous) member proteins of the same clusters/classes. Was there any highlight or low point you’d like to share? UNIL/EPFL campus is just beautiful, at the shores of lake Geneva. The campus is also well-equipped for all possible needs. 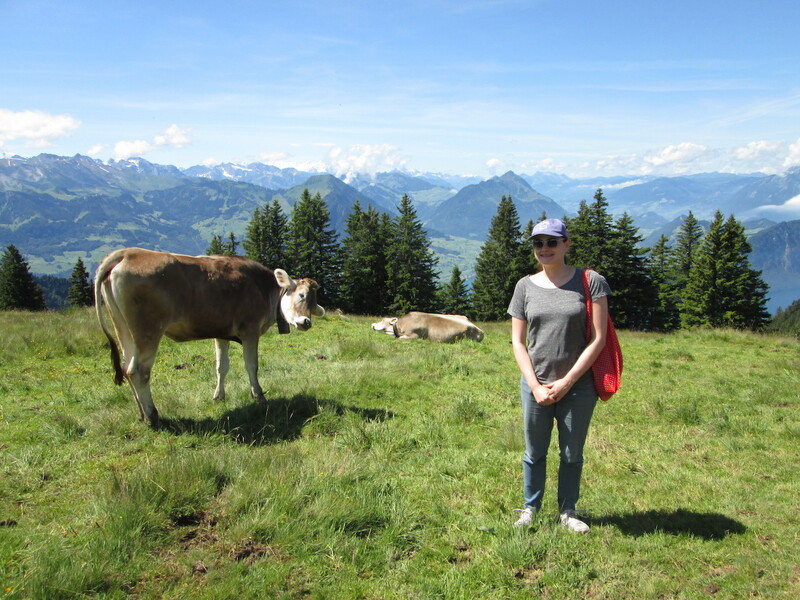 This was also my first time in Switzerland and I was enchanted by the beauty of this country… The only downside for a foreign visitor could be the expensiveness of life in Switzerland, which was also manageable with a little prior investigation and planning. Do you have any practical tip for future OMA visiting fellows? Editor’s note: If you are interested in the OMA visiting fellowship programme, consult this page. Please introduce yourself and your research interests. I received my bachelor’s degree in Biology (major in Zoology) at Complutense University in Madrid, Spain. I got my master’s and PhD at the same university with a thesis about phylogeny and phylogeography of cosmopolitan earthworms. After that, I moved to the lab of Prof. Gonzalo Giribet at Harvard University where I was a postdoc during 3 years and a Research Associate for another year. In January 2017, I’ll move to Barcelona to work as a Research Fellow in the lab of Dr. Toni Gabaldón at the Center for Genomic Regulation. My research addresses fundamental questions about evolution in invertebrates: in other words, I am fascinated by how, when and where biodiversity took its form, and why it is maintained. My main two animal groups of interest are terrestrial annelids (oligochaetes) and (pan)arthropods, particularly the earliest branching lineages and most scientifically neglected groups (chelicerates and myriapods). How did biodiversity took its shape? 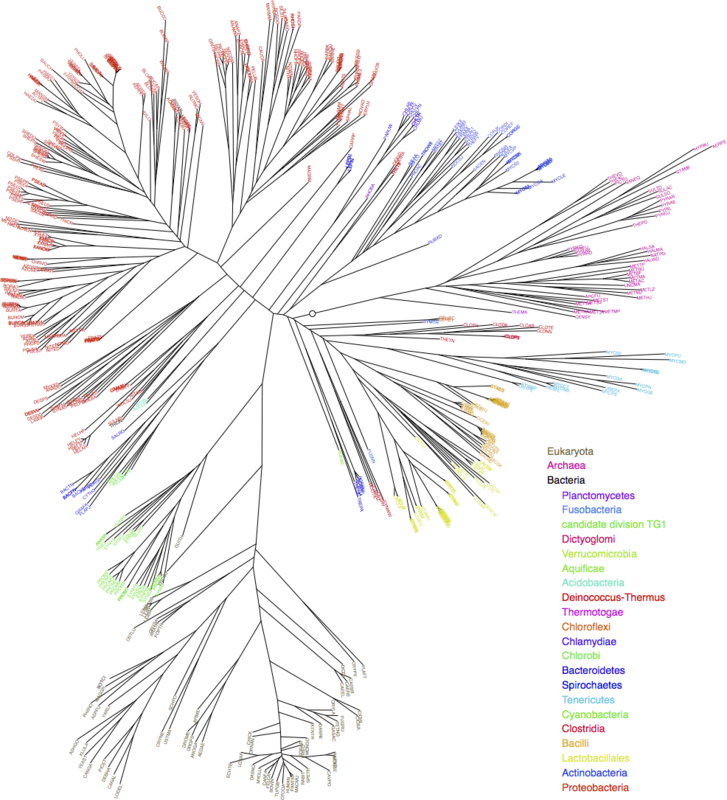 Resolving the tree of life. Macroevolutionary patterns are generally what we see when we look at the large-scale history of life. It encompasses the grandest trends and transformations in evolution, such as the origin of bilateral animals or the radiation of arthropods. In order to understand how lineages are related to each other, I study macroevolutionary patterns in several groups of invertebrates through phylogenetics and phylogenomics. I currently lead a fruitful line of research dealing with phylogenomics of myriapods and chelicerates, having optimized protocols to sequence successfully single individuals of the rarest and smallest arthropods. 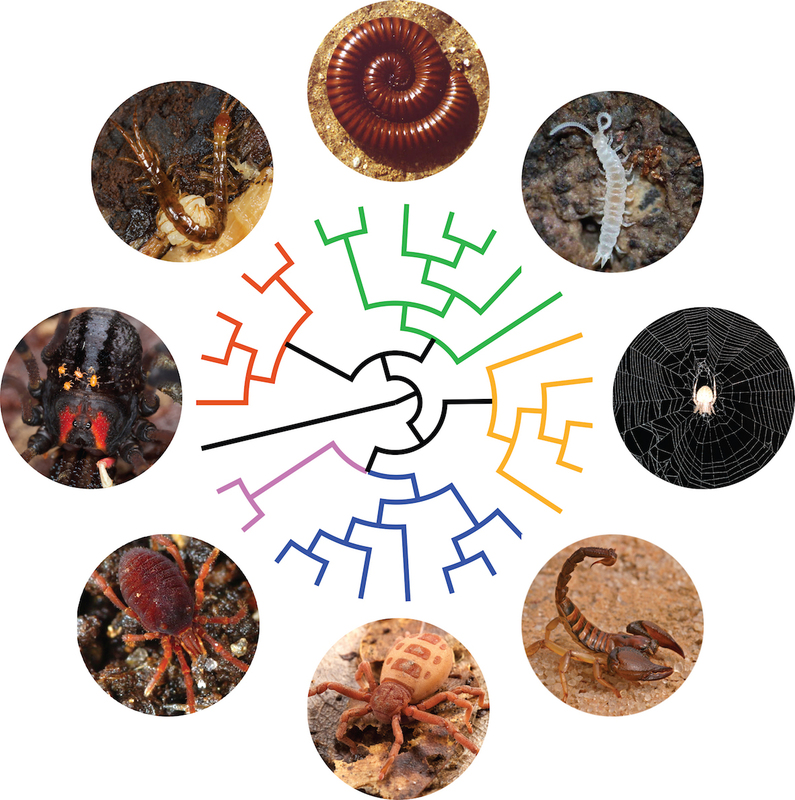 We are getting closer to resolve the Arthropod Tree of Life! When and where? I tried to understand the mode and tempo of animal diversification patterns through the integration of phylogeography, biogeography and paleogeography. Why? Comparative transcriptomics and genomics is a very powerful tool to shed light on very interesting evolutionary questions, such as arthropod terrestrialization - one of my favorite new lines of research. Orthology inference is one of the key steps in phylogenomics. I had been using OMA for a few years and I wanted to learn how I could use it more efficiently in my ongoing projects. My project focused on optimizing OMA runs for some big and challenging data sets that I was having problems with. Also, I was interested in learning how I could exploit hierarchical orthogroups for comparative genomics studies in arthropods. It was a great experience to be in the Dessimoz lab for a month. As a systematist with relatively limited bioinformatic background, it was absolutely great to exchange ideas with computer scientists interested in the same scientific problems but with a completely different perspective that mine. It was a very enriching experience. One month was not enough for me, so try to stay longer if your project is ambitious. And ask Christophe to bring a Tête de Moine cheese in your last day, it’s delicious! The new academic year brings a big change to our lab. I am moving to the University of Lausanne, Switzerland, on a professorship grant from the Swiss National Science Foundation. The generous funding will enable us to expand our activities on computational methods dealing with mixtures of phylogenetic histories. Lausanne is a hub for life sciences and bioinformatics so we will feel right at home there—indeed we have already been collaborating with several groups there. I join the Center for Integrative Genomics and the Department of Ecology and Evolution. I also look forward to reintegrating the Swiss Institute of Bioinformatics. At a personal level, this marks a return to a region in which I grew up, after 16 years in exile. So how are we going to manage working in two different sites? Well, the situation is not new. We have had a distributed lab for several years and have developed a system for remote collaboration. Currently, we have lab members primarily based in London, Zurich, Ghent, and Cambridge. Our weekly lab meeting and monthly journal club are done via videoconference (with GoToMeeting). I try to have at least fortnightly 1:1 meetings with all remote members. During the day, the lab stays in touch via instant messaging (using HipChat). We have shared code (git) and data (sshfs) repositories. We tend to write collaborative papers using Google Docs (with Paperpile as reference manager). Importantly, we have a lab retreat every four months where we meet in person, reflect on our work, and have fun. We supplement this with collaborative visits as needed. The system is not perfect—please share your experience if you’ve found other good ways of collaborating remotely—but overall it’s working quite well. 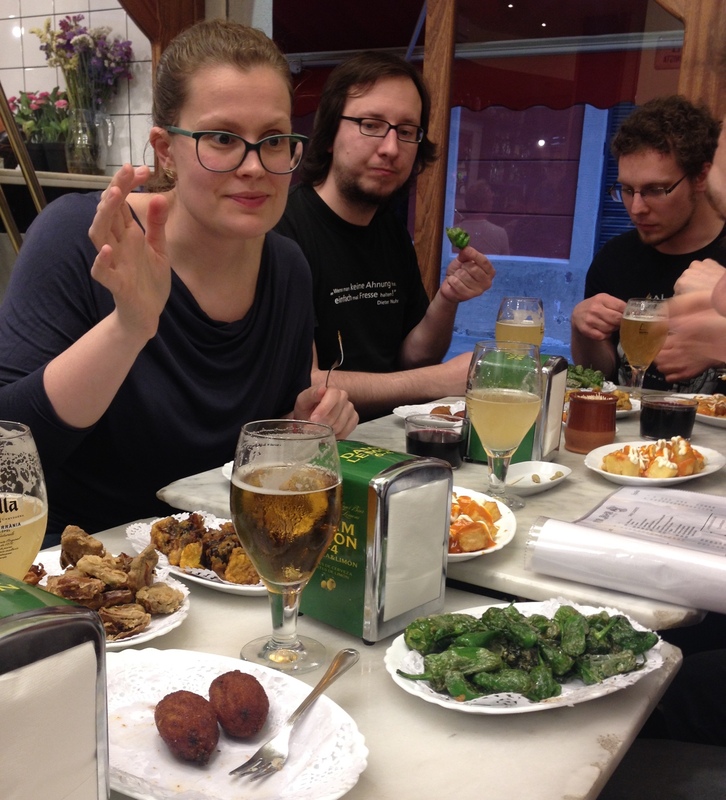 On 25-27 May 2015, the lab attended the 4th international ‘Quest for Orthologs’ conference held at Center for Genomic Regulation (CRG) in Barcelona, Spain. 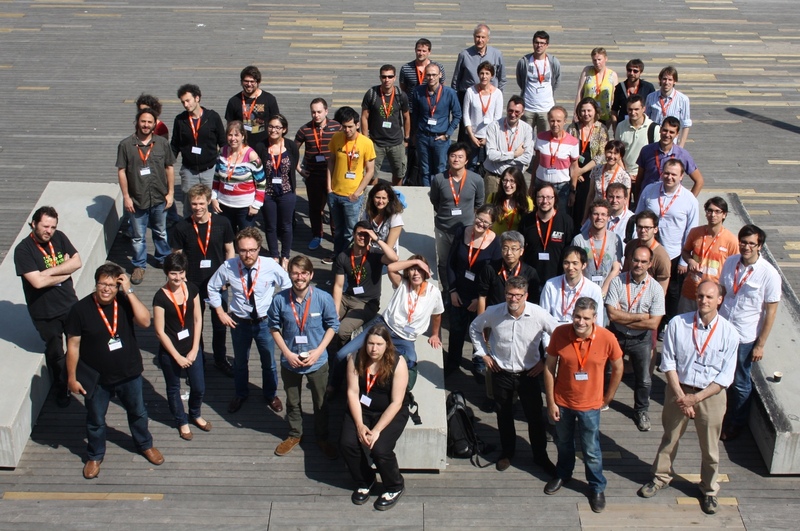 The following blog entry is a summary of the experiences had at the conference by Ed Chalstrey, Jan Koch, Clement Train, and Lucas Wittwer, who are interns and master’s students in the Dessimoz lab. Quest for Orthologs (QfO) is a meeting of groups working on orthology detection and phylogenomic databases, with an aim to improve and standardise orthology predictions. This meeting was part of a series of conferences beginning in 2009, which have successfully brought together a community of researchers with shared goals. These goals included collaboration on benchmarking and the sharing of reference datasets. As short project students in the group, QfO gave an excellent opportunity for those of us based at UCL to meet some of our colleagues from ETH (in Zurich) and Bayer CropScience (in Ghent) in person for the first time and to make contact with other scientists working in the field of ortholog prediction. As young scientists, some of the most important questions we face are: Will I be able to explain my project to established scientists and discuss it with them? Will I be able to understand the work of other scientists, even if their research topic falls outside my area of expertise? How can I have new ideas and be inspired to contribute to an area of research I’m new to? For us, most of whom had not attended a conference before, QfO was the perfect place to begin answering these questions. The conference involved talks from each of the research groups and a poster session for students to display their contributions. Each of the postdocs and PhD students in the Dessimoz lab gave a short talk to introduce their posters, as well as one of us (Clement). QfO was a great opportunity for us to meet scientists that have worked in the field for many years and from all over the world. 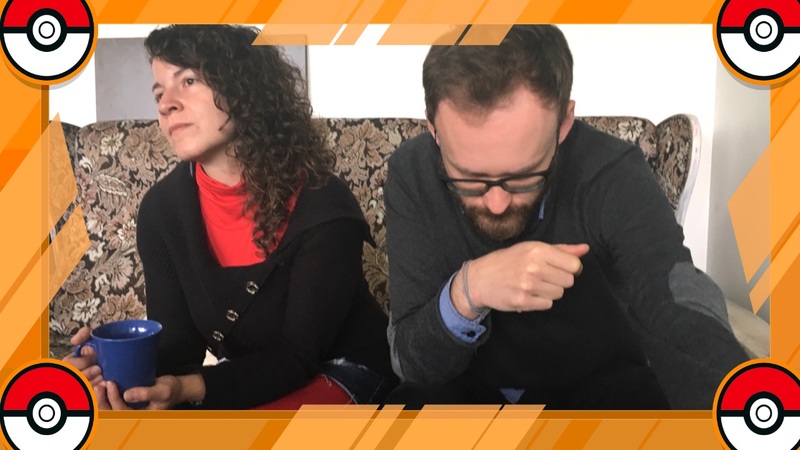 We were able to benefit from their experience and the advice they gave us after talking with them about our own research projects, gaining a different perspective to that of our usual supervisors and colleagues. One of the discussions had by Jan with two researchers from Switzerland may even lead to a potential future collaboration; they were interested in DLIGHT, a program that was developed by our group. As well as discussing our current work, the conference also gave us the chance to think about future work opportunities and network with established scientists. One of the highlights for us was meeting Eugene Koonin and Sergei Mekhedov from the NCBI at the conference dinner. We had an amusing chat (about topics not necessarily related to orthology!) and an enjoyable evening. They even invited us to visit them at the NCBI! All in all, we greatly benefited from our participation in the QfO conference. I am Anna Sueki, 3rd year Biochemistry student at UCL. I did my summer internship at Dr. Dessimoz’s lab during summer 2014. I’m originally from Japan, but grew up in Singapore and Germany. Why did you choose to join the lab? During my second year, I took a module called “Computational Biology” and I really enjoyed learning programming and other computational aspects in biology. Dr. Dessimoz was one of the lecturer for that module, and since I found his lectures interesting, I applied to his lab for this summer internship. What project did you work on (and for how long)? My project was “Synteny visualisation in the OMA browser”. 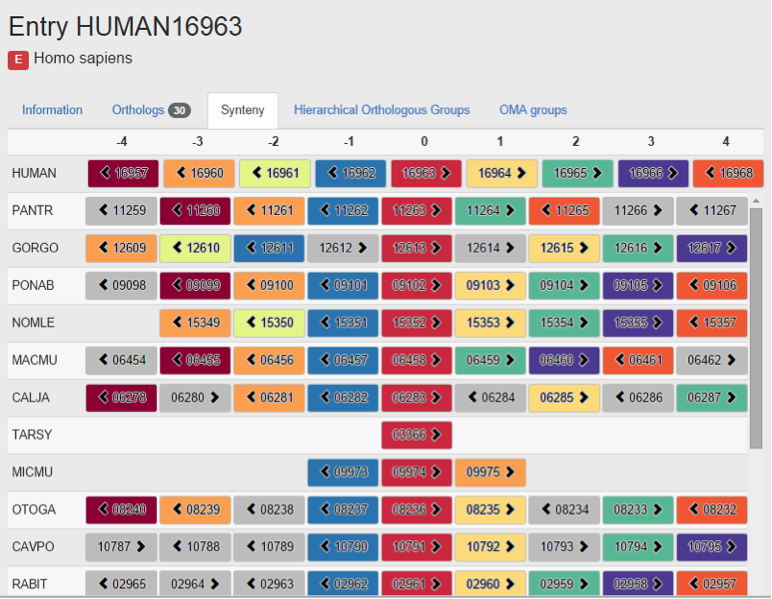 This was for the new release of the OMA browser, and I created the new synteny viewer function within the browser to show neighbouring genes of the entry gene and its ortholog relationships. I worked for 3 months (from June to September 2014) during my summer vacation. With the help of other members in the lab, I could produce the synteny viewer function, and it will be implemented in the new OMA browser. Also, explanation of this new function and an example was included in the paper for new OMA release. Other than this actual project outcome, I learned about how computers and their systems work, programming of Python, and how to use Python’s web framework Django. Was there any highlight or low point you’d like to share? 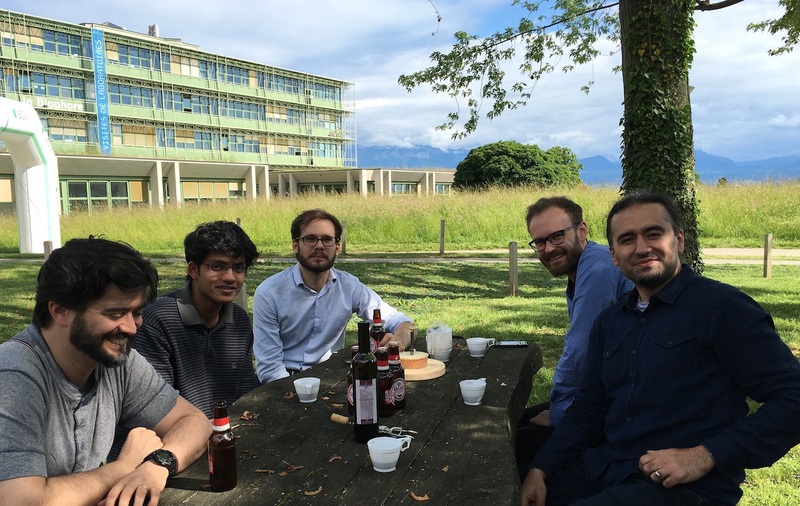 Personally, I enjoyed the lab retreat in Zurich a lot. It was nice to see the members in Zurich who I saw only through video meeting every week. Also I got many helps from Zurich members through the chatting system, especially Adrian and Clement. What is your overall impression and would you do it again? I really enjoyed my time in Dr. Dessimoz’s lab, and I learned a lot during these three months. I started without barely any knowledge in computer science but through this summer, I found out that I like learning coding and other computational skills. If I can achieve another chance, I would love to work with Dr. Dessimoz and other members again! I just finished the M.Sc. Computer Science program at UCL, and did my summer project in the Dessimoz lab. I chose this lab because the project sounded interesting and the environment seemed supportive. Appearances turned out to be correct! My project was increasing the speed of the existing Trees of Life program, which draws phylogenetic trees based on genetic distance within orthologous gene groups. At the end of the project, the overall speedup was 1.40X, and along the way I learned a lot about optimisation and many other topics: from UNIX-based systems to linear algebra to genetics. Overall I would really recommend working in this lab to anyone considering it. Though I was just here for three months, I felt very included and supported throughout the project. 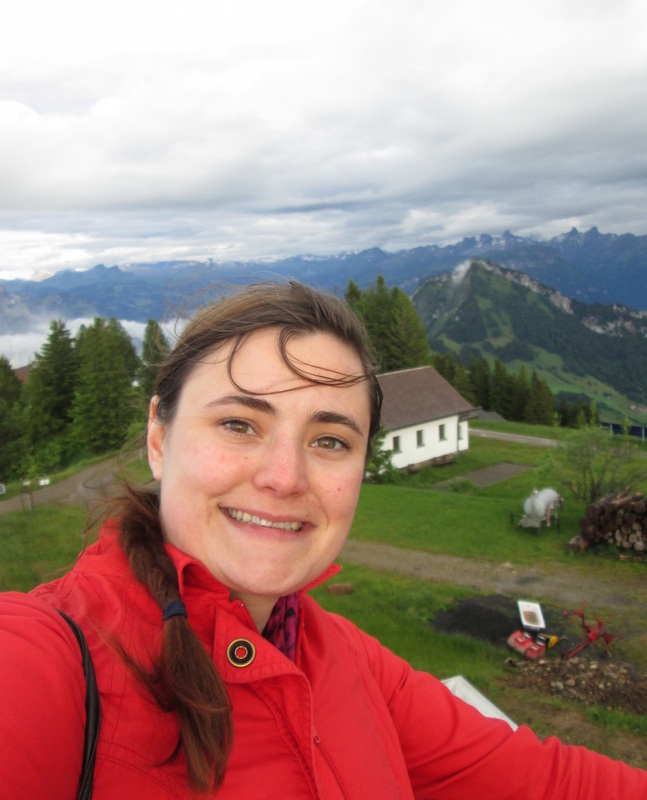 It was a great way to see the inner workings of a bioinformatics lab, and through this experience I was able to go to two conferences and a lab retreat in Switzerland! My name is Ferenc Galkó and I am a student from Hungary. I am 22 years old and will be graduating this December (2014) with a BSc in computer science from the Budapest University of Technology and Economics. I am really interested in doing an MSc and later possibly PhD abroad. As a BSc student I did not have much opportunities to contribute to the intriguing work of research labs, nor had I the time to move away from my home country for a longer period. I thought that an internship abroad would help to fulfil both of my aspirations. I have worked for about three months on the migration of various operations on sequences, including a vectorized version of the Smith-Waterman algorithm written in C. The existing, efficient code base had to be migrated by using NumPy and Cython to make the main functionalities available from Python. At the end of the internship we had a new Python package called Python Optimal Pairwise Alignment (PyOPA), which provides an opportunity to perform operations with the efficiency of a vectorized C code with the convenience of a Python code. It is also a plan to publish the package in the PyPi shop in the very near future. I had started my internship just a day before the lab retreat in Switzerland. I think it was a great thing to start the internship like this, because I have met almost everyone in person from the lab. During the retreat there was a special session addressed for pre-PhD students, where we discussed the advantages and the costs of doing a PhD. It was really great to hear unbiased advice from those who already went through this process or currently doing it. I would definitely do it again, it was a great and unique experience altogether. I have met interesting people from many countries and gained insight into a well-known research lab, which will surely form my upcoming years of study in a positive way. I’m Clement Train and I’am a French student in bioinformatician at the University of Bordeaux. I studied biology but at some point I decided to learn computer science to try to solve biological problems. I’m passionate about evolution, genetics and all the fields that help to understand how life is created, regulated or can adapt to different environment. I was looking for an internship in bioinformatics for my 2014 summer. When I discovered the Dessimoz lab works on topic I am really interested in (molecular evolution, genetic, bioinformatics) so I decided to seize the opportunity to apply and Christophe let me join his lab as an intern. I joined the team from June to August 2014. At first I worked on a web widget to visualize and select genomes in a phylogenetic tree. This project consisted in improving users’ utilization on the export function of the OMA browser for the OMA standalone. Afterward I worked on a face-lifting of the OMA browser website: we built a new structure for the website where users can easily learn what is OMA and how they can work with it. Plus we added new features like the synteny viewer. This internship provided me with a great working experience as a bioinformatician. I learnt how to work with lots of people on different projects and how to adapt to new situations. First i want to say that the mentorship was a very good motivation for me. All the team was following my project by helping me or giving me feedbacks to improve it. I have never felt alone in front of my computer and feeling that people were interested in my work was something I really enjoyed during my internship: to work on something where people are interest of. Second, I’d say that working on something that other people can use or reuse for them own work is very rewarding. Finally, I really liked the team atmosphere, lab retreat and lunch with everyone helped me feel comfortable during my whole internship and allowed me to create strong links with others team mates. I am completely happy with this internship. I met lots of good and funny people to work with and it is very nice to feel comfortable at work and can enjoy time with the team. I worked on great project where I was able to totally express myself because Christophe and Adrian had confidence in what I can do and were always willing to improve what I was working on. Do it again? its plan to do a new internship during the summer 2015 with the Dessimoz lab for my master thesis, I am looking forward to doing this internship because I know I will work on a project that will provide me with new skills (biology, computer science or math) and that I’ll be mentored to produce something better.